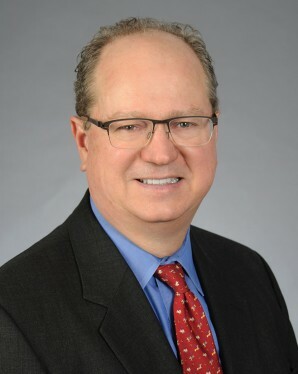 As President and Chief Executive Officer, and a company founding partner, Tim holds overall responsibility for shaping the Core5 vision, strategy and organizational structure, including the charge to raise capital for future real estate funds and maintaining long-standing relationships with institutional owners. He interacts regularly with the Japanese parent, Kajima, on behalf of their industrial interests. Recognized by his peers as an industry leader, Tim has been named to the “Who’s Who” list by the Atlanta Business Chronicle numerous times and chosen by Commercial Property News magazine as one of the top three executives in industrial real estate. He is a graduate of Leadership Atlanta, the nation’s oldest and most distinguished community leadership development program and a member of the Rotary Club of Atlanta. A long-active member of the environmental community, Tim currently sits on the board of the Million Mile Greenway, a non-profit group that supports the building of trails for recreational purposes. A testament to his passion for education, he is a trustee of the Georgia State University Foundation. Tim’s past civic duties include appointments to the Board of Directors for Batson-Cook Development Company, a sister company to Core5 in the Kajima USA portfolio, and service on the board of trustees for the Georgia Conservancy, a state-wide environmental organization dedicated to the appreciation and protection of Georgia’s natural ecosystem. He is a former member of the alumni steering committee for the University of Georgia Warnell School of Forestry and Natural Resources and served on the board of directors for Teach for America along with the endowment board for the Paideia School, a non-profit school founded by parents who want an individualized, creative and intellectually challenging education for their children. and a Master in Business Administration degree in Finance from Georgia State University in Atlanta. He stays actively involved in the real estate community with memberships in the National Association of Industrial and Office Properties (NAIOP) and the Real Estate Group of Atlanta, and sets on the Urban Land Institute’s (ULI) Sustainable Development Council. Tim previously served 25 years as a founding member of Kajima’s former industrial company, IDI, where he functioned as President and CEO.